Explore one of Morocco's natural wonders on a day trip to the Ouzoud waterfalls from Marrakech. Travel into the Atlas Mountains by a private transport, and witness the stunning, 110 meter waterfalls as they plunge down rugged cliffs. Explore the High Atlas Mountains on a horseback! You will ride through some farms in Asni town near Berber villages as well as take in all the wonderful landscapes this region has to offer. Make the best of your stay while in Marrakech! Enjoy an active day trip while you are staying in Marrakech. This is a mountain biking day trip from Marrakech in the Atlas Mountains. Ride along trails and dirt roads to take in views of the valley landscape, and pass by Berber villages. 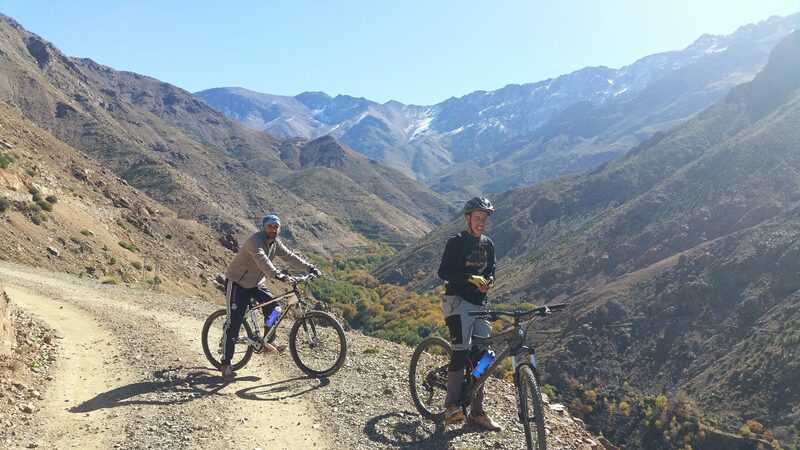 During this 2 days mountain biking Tour , you will ride through the berber villages in the high atlas mountains. You will spend two days exploring the high Atlas Mountains by bike. It's really a lifetime experience.